Because of Arema FC's supporters, Aremania is nowhere but everywhere. If we talk about Arema FC this time maybe we will find some facts we need to know as Jalpeders and Aremania in particular. The following are the facts that we summarized for this article. As a child of the Nation, we cannot "JasMerah" Jangan lupakan Sejarah /Don't forget history! It is true that this club was founded by former national racer Alm. Lucky Acub Zainal who died in 2016 ago. Together with Ovan Tobing, a male singer. The Man called Sam Ikul founded Arema on August 11, 1987. Arema was founded in 1987 in the mid 90's. Arema was able to speak a lot in the Galatama competition caste, while his elder brother Persema Malang competed in the League of Persons. 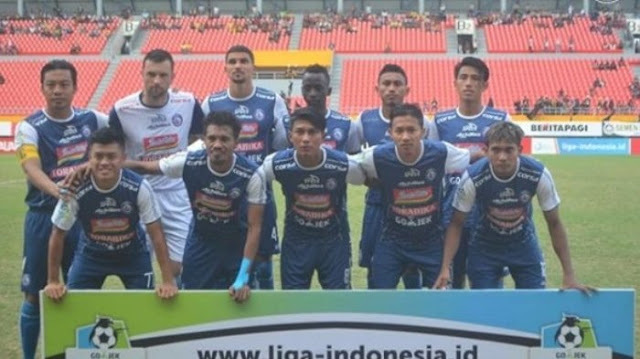 Up to the Indonesian League the results of the fusion of Galatama and the Arema Association still exist today. Arema in a different era had won many trophies, in 2004 he won the Indonesian Cup and once represented Indonesia in the AFC Champion League. Although in the 2006 season had been relegated, it only took a year to return to the highest caste again, and 3 seasons later Arema won the Indonesian Super League 2009/2010 season under Dutch coach Robert Rene Alberts. In the era of modern football even Arema was nicknamed the King of the Pre-season Champion, as evidenced by the title title winner, the Presidential Cup 2 times, the Sudirman Cup 1 time and many more. From the beginning, Arema was known to be a national team player who was no less industrious than other clubs such as Persib, Persipura, Persija and Sriwijaya FC. Starting from Era Aji Santoso, Alexander Pulalo, Ponaryo Astaman, FIrman Utina, Ahmad Bustomi, Beny Wahyudi, Zulfikly Syukur, Yongki Aribowo, Kurnia Meiga, Hanif Abdurrauf Sjahbandi, Bagas Adi Nugroho, Hamka Hamzah and the new one this season Dedik Setiawan. If in El-Classico Spain bring Real Madrid to Barcelona in East Java El-Classico deserves to be pinned on the Arema and Persebaya approvals. From the 5 facts above, is there anyone who lacks Jalpeders? If so please comment and give us constructive suggestions and criticisms. Thank you and Salam Satu Jiwa! AREMA!